The Riviera is a name that conjures sparkling seas and endless sunshine: palm trees, outdoor cafes and tanning bodies on the sand. But behind the stereotype of wealth and glamour is one of Europe's most beautiful and accessible tourist locations. Take it from one who knows: while renovating her apartment in the medieval ramparts of Ventimiglia, New Zealander Carolyn McKenzie was stunned by the variety of inspiring places surrounding her. Now an entrenched local, McKenzie shares her knowledge so that all visitors can make the most of this unique region. From Cervo in Italy to Massif de l'Esterel in France, discover a different Riviera. Delve beneath the surface and discover the art, architecture and culture of this enticing destination. 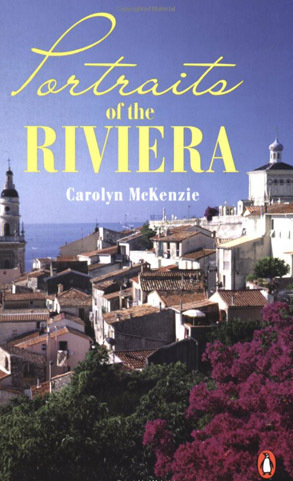 Portraits of the Riviera provides a very personal perspective of 150kms of coastline of Italy and France known worldwide as The Riviera.